Even a country like Pakistan is using the Sangh as a punching bag to save itself from the “terror tag”, the editorial in Organiser says. The editorial in Organiser says blaming the RSS for anything and everything has become a way for political parties to evade their responsibilities. Using the Sangh as a punching bag is now not confined to Bharat but has reached the corridors of United Nations, according to the editorial. Even a country like Pakistan is using the Sangh as a punching bag to save itself from the “terror tag”. The editorial claims the very edifice of Pakistan since the days of Partition is built on the negation of thousands of years of civilisational history. Since Pakistan, a “rogue state, governed by a corrupt military, cannot fight” Bharat, it has opted for “a proxy war through terror outfits”. In the process, spreading jihadi terrorism and fundamentalism has become the raison d’etre of the Pakistani state, not just in Bharat but across the globe. Pakistan’s economy is crumbling, the US no longer trusts it and Chinese investment is more of a debt trap. 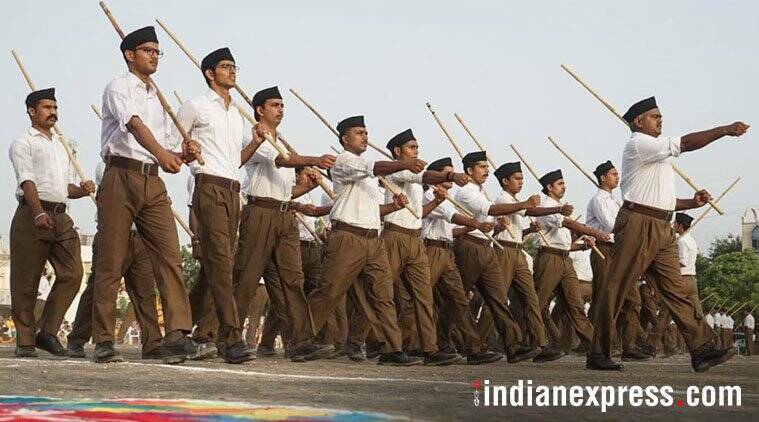 The frustration has led Pakistan to name the RSS in its attack on Bharat, the editorial says. Organiser claims that Pakistan has adopted this strategy from political parties in Bharat. Mamata Banerjee in West Bengal came to power with a call of Maa, Mati and Manush and failed to deliver. “Instead, sustaining the politics of violence executed by the communists and actualising the politics of vote-bank initiated by Congress has been the only trademark of Mamata Didi,” the editorial claims. The fear and frustration of losing ground in the state has led her to seek an easy target in the RSS. However, the party that pioneered this art of using the Sangh as a political punching bag is the Congress, according to the editorial. All these actors need to reflect on their internal problems and work on a constructive agenda, the editorial suggests. The cover story in Organiser says the Supreme Court order of September 28 against the tradition that bans women aged between 10 and 50 from entering the Sabarimala temple has triggered a heated debate in Kerala. “Hindu women by and large are against the verdict. They say that they believe in the tradition of keeping away from the temple between the age of 10 and 50 and that they are ready to wait,” the report claims. The report claims while the litigation is more than 12 years old, the petition to lift the ban was filed by a body named Indian Young Lawyers Association, headed by Noushad Ahmed Khan, a non-Hindu. Three or four women impleaded in the case later. Three of them thereafter expressed their desire to withdraw from the case stating that they joined the team without being aware of the peculiarities of the Sabarimala temple. But they did not get the Court’s permission to withdraw, according to the report. The report also claims that no woman devotee had approached any court in the country seeking permission to enter the Sabarimala temple and worship there. “Ipso facto, the very intention of the petitioners has been shady,” the report claims. The article adds the laws, surprisingly, are not being used by needy women. Worse, these laws are often misused. Among such laws, the misuse of section 498A of the IPC is most noticeable. The article adds that the Supreme Court has struck down IPC section 497 and declared it as unconstitutional. The article says the judgment seems to be correct when viewed from the legal prospective of equality. “When viewed in terms of the institution of marriage, this judgment means something else altogether. Despite being a criminal offence, immoral relationships have existed in the past and still continue to exist. Just because it was criminal offence, it does not mean that no one committed it. Crimes continue to be committed although they are illegal. For example, prostitution is a crime. But does that mean that we do not have Red-Light areas?” the writer wonders. The BJP government in Uttar Pradesh is getting the flak for the murder of Apple executive Vivek Tiwari, who was shot by a police constable in Lucknow. A report in Panchjanya accuses the Samajwadi Party and Congress of doing “cheap” politics over the murder. Interestingly, the report praises the Yogi Adityanath government for taking action in the matter and recalls crimes committed under the previous SP government. The report says people have not forgotten how the law and order situation had deteriorated when Akhilesh Yadav was chief minister. It recalls incidents such as the murder of a deputy SP, Zia-Ul-Haq, in Pratapgarh, the killing of police officers in Pratapgarh and Allahabad. It claims that more than 18 lawyers were killed during Akhilesh’s tenure.